©Barry Sandland/TIMB – Place Jeu de Balles is a Brussels haunt for shoppers. I always find it odd the space is not better suited to cyclists …. Photographer’s notes: Ah, Place Jeu de Balles, a Brussels weekend haunt for hundreds. A collection of bric a brac and retro furniture. You can get a decent cup of coffee and an even better meal at some of the local cafés. Plus, along the two main roads that run near the Place, are a few dozen furniture and decoration stores. No wonder the area is filled with people every week. 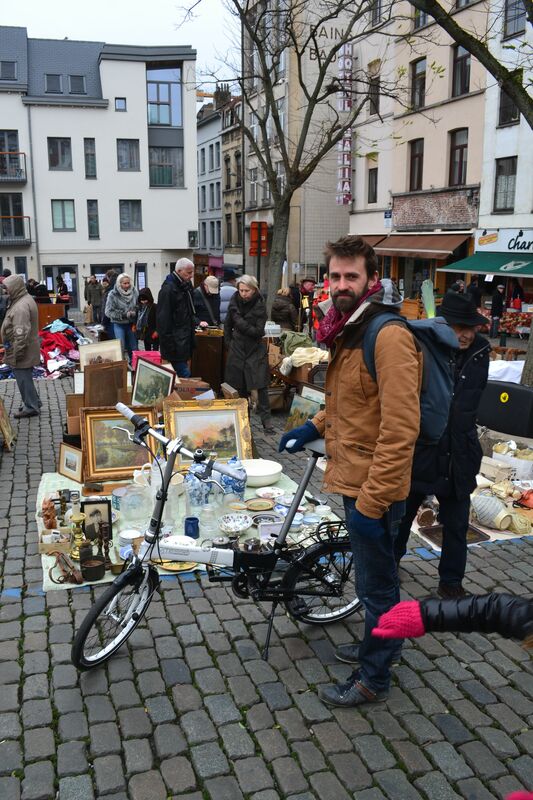 This entry was posted in commuter, Europe, foldable and tagged 2015, Dahon, January. Bookmark the permalink.